Amazon has the Crayola Model Magic Gooey Fun! 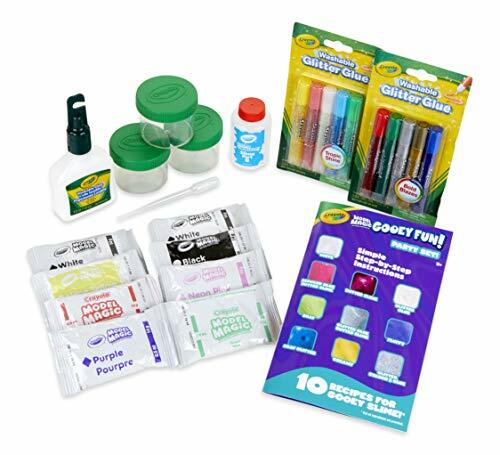 Party Kit, Slime Supplies, Gift for Kids, Age 5, 6, 7, 8 for just $7.96 (was $20.83). This deal was valid as of 02/10/2019 21:42:55. If you do not see the price we have listed, this deal has ended. For easy monitoring, add the item to your cart and watch for additional price drops. Features 8 packs of model magic, 1 washable no-run school glue, slime Part B solution, 10 washable glitter glue tubes, 3 storage containers, 1 pipette, and instruction booklet. Kids can create 10 types of homemade slime with the slime ingredients and recipes. An interactive art project for birthday parties or rainy days at home with the entire family! A cool goo gift for girls and boys!